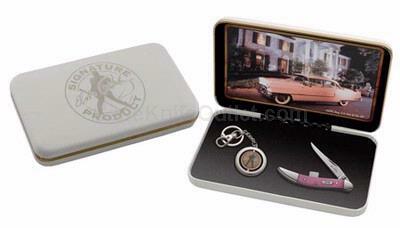 Complete with white jewel box and collectible key ring. W.R. Case & Sons Cutlery Company pays tribute to this American legend. Certificate of authenticity. "Long Tail C" serialization. As with all natural material color may vary. Made in the USA.